Today, Monday 4th August, a special service is being held at Glasgow Cathedral to commemorate the 100th anniversary of the outbreak of the First World War. The service is being held in Glasgow just after the close of the Commonwealth Games, thereby allowing the Commonwealth heads of state to attend. Glasgow Cathedral, also sometimes known as St Mungo’s Cathedral, is a medieval church in the centre of Glasgow, with strong links to the foundation of the city. It was built between the late 12th and 15th centuries and houses the tomb of St Mungo, the founder and patron saint of Glasgow. The cathedral is built on the site where Mungo is believed to have been buried in AD 612, on the bank of the Molendinar Burn (which is now covered over by Wishart Street). 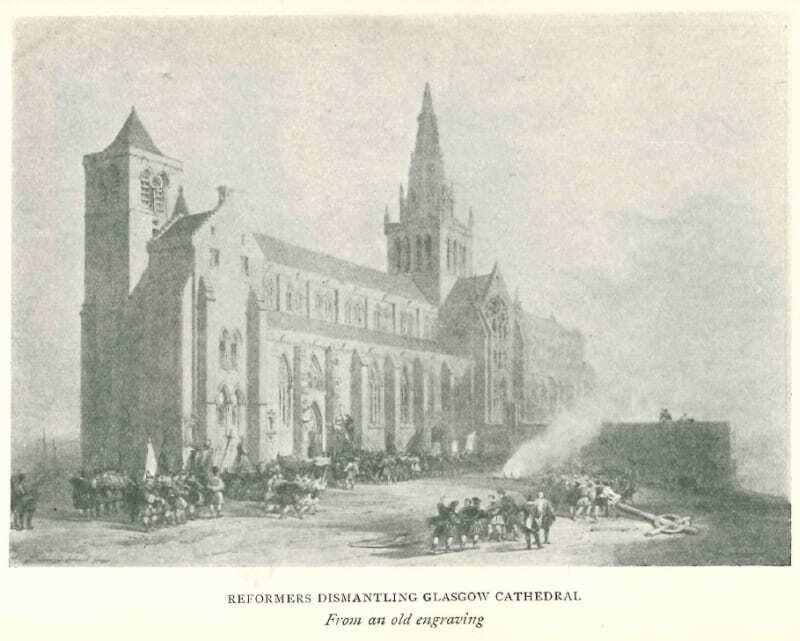 Along with many other cathedrals in Scotland, Glasgow Cathedral was badly damaged during the Protestant Reformation of 1560. It was not destroyed, however, and today it is the only medieval cathedral in Scotland to have survived the Protestant Reformation of 1560 largely intact (i.e. without becoming unroofed). 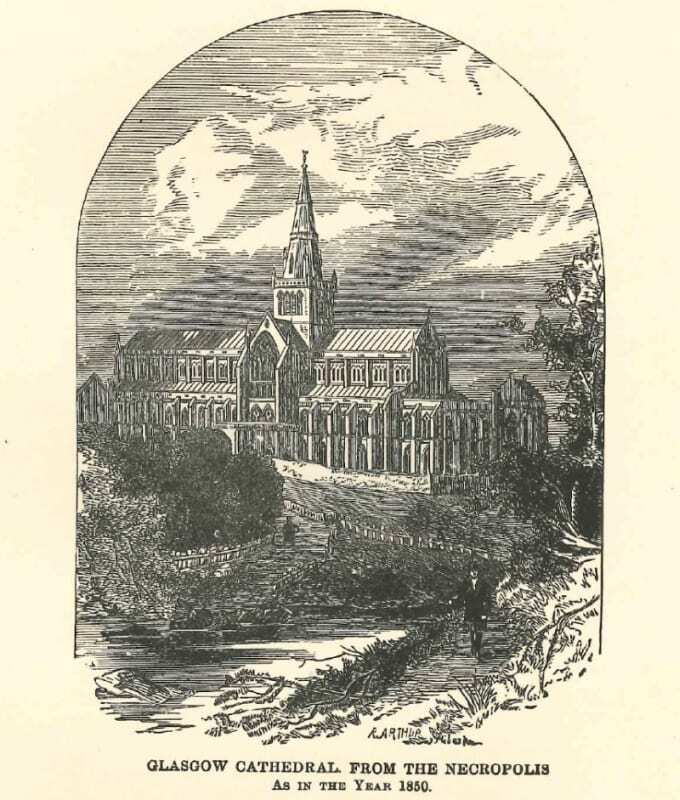 In the College Library, our Glasgow Collection is an excellent source of information about the history of Glasgow Cathedral, and our archive also includes a selection of photographs and engravings. 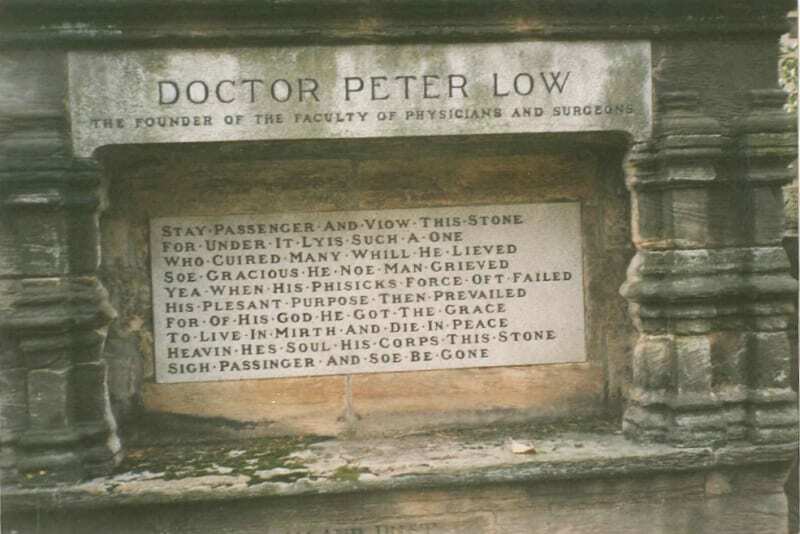 The College’s strongest link to the cathedral is probably the tombstone of our founder, Peter Lowe, which can still be seen in the cathedral grounds. 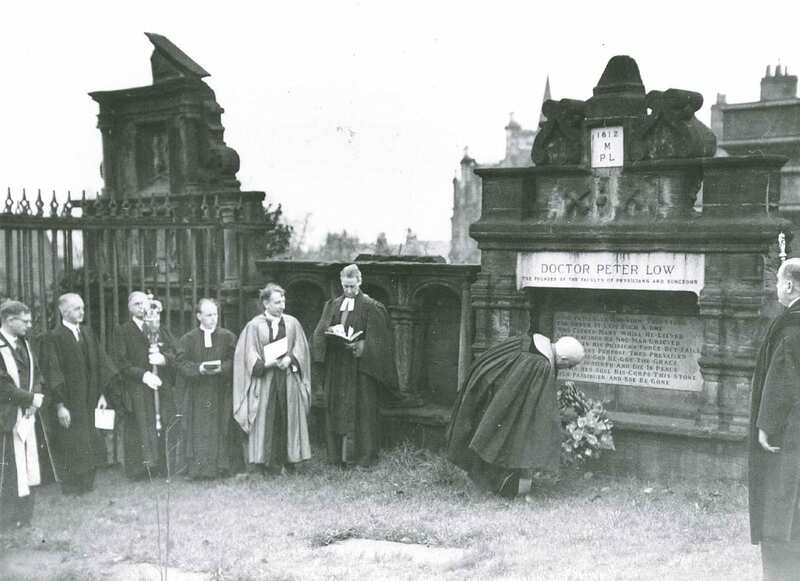 A service is held at the cathedral every year on our Founder’s Day, to commemorate the life of Lowe. The cathedral is often regarded as one of the finest in Europe, and there are many features to be admired both inside and out. The cathedral is large enough that, following the Reformation, it was put to work as three distinct parish churches, with the Inner High Kirk making using of the choir, the Outer High Kirk residing in the nave, and the Barony Kirk using the crypt. 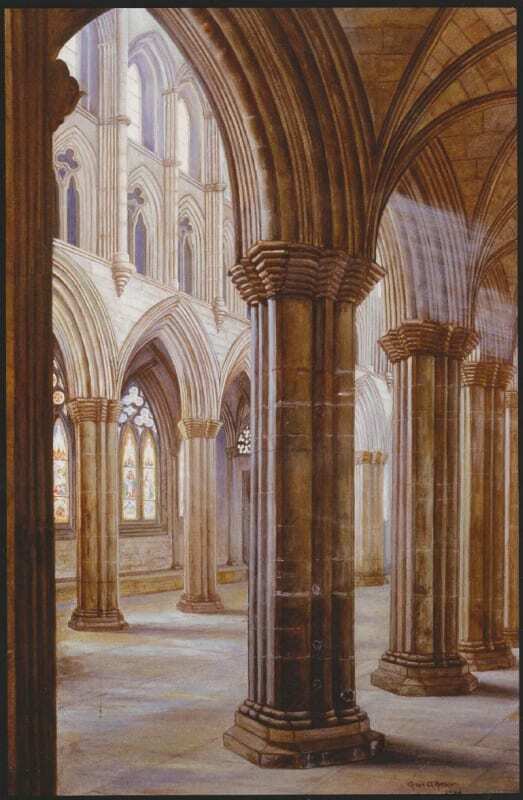 However, the latter two eventually vacated the premises and since 1835 the cathedral has functioned as a single great church, as was perhaps originally intended. The cathedral warrants a detailed exploration for many reasons, not least the quality of the masonry work on display. The crypt, or lower church, is mostly of 13th century construction, and is home to some of Scotland’s finest examples of medieval masonry. In the upper level, the screen standing between the choir and the nave is truly striking, and some excellent carvings can be seen in the Blackadder Aisle (built around 1500 under the command of Archbishop Blackadder). The cathedral has been constructed and rebuilt in parts over many years, and visitors with a keen eye may be able to spot where the 12th and 13th century construction work merges with work from later periods. Somewhat unusually the building has actually been Crown property since 1857, and its upkeep and maintenance is managed today by Historic Scotland. Despite this, there is still an active Church of Scotland congregation, and Glasgow Cathedral continues to be used as a place of worship, as it has been for over 800 years. Admission to the cathedral is free, and all Glasgow residents and visitors are welcome. Please note that the cathedral is closed today (Monday 4th August) for the aforementioned service. Visit the Glasgow Cathedral website for more information on visiting times. The College’s library and archive collections offer a much more detailed history of the history, construction, and use of the cathedral. If you’d like to consult any of our collections, or to find out more, please email library@rcpsg.ac.uk or leave a comment below. I would have loved to bear witness to this event.